The army of Matthias Gallas was returning from a defeat in Holstein with General Lennart Torstenson and the Swedish army in pursuit. In order to protect the rich Bohemian lands from a Swedish invasion, General Hatzfeld was given the command of the retreating army and reinforced it by adding new enlistments. General Gotz arrived with his army and the Bavarians sent General Werth and colonel Spork to further reinforce the army, both sides had around 16,000 men. No quarter was given to either side, which would result in a victory for the Swedes. The Swedes had superior and more artillery, allowing them to react quickly to changes on the battlefield. Only 7,000 of the combined Austrian Bavarian imperial army escaped the slaughter, the majority of the army was either killed or captured when the Imperial center was surrounded, including the commander-in-chief Hatzfeld. Between 4,000 and 5,000 prisoners were taken, upon hearing about the defeat at Jankau the emperor Ferdinand III retreated further towards the Upper Palatinate near Regensburg. He sent out calls to all of his estates of his dominions for fresh troops, the Emperor even offered Maximilian of Bavaria parts of Silesia and Bohemia as collateral in case conceding was the only option. Bavaria’s continuation of hostilities with France meant that Emperor Ferdinand III could no longer count on Bavarian troops, the emperor had sent a request to the papacy for a subsidy to raise more troops. The papal throne changed hands and Pope Innocent the X took over and he was unfriendly towards the Habsburgs, the pope gave no aid to the emperor. The emperor was forced to rely upon his own resources, the victory at Jankau opened up the way to Prague and Vienna. 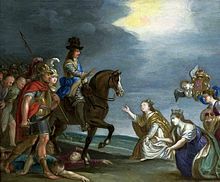 By April Torstensson was within thirty miles of Vienna, laying siege to the city of Brunn and his army did not make it to either Prague or Vienna in 1645. By late December the Swedish army had been out by the constant fighting. New York, The Macmillan Company,1911, Kenneth M. Venice and the Turks in the Seventeenth Century. The Thirty Years War, Part 258, New York, New York Review of Books,2005. Charles IX, was King of Sweden from 1604 until his death. He was the youngest son of King Gustav I and his wife, Margaret Leijonhufvud, brother of Eric XIV and John III. The Swedish kings Eric XIV and Charles IX took their numbers according to a fictitious History of Sweden and he was actually the third Swedish king called Charles. 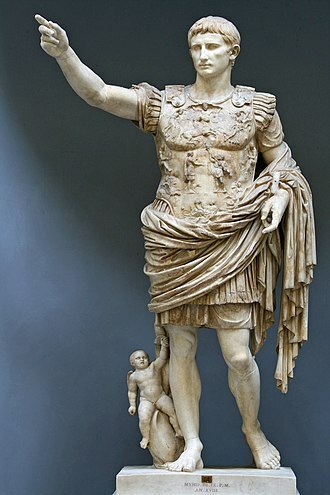 He came into the throne by championing the Protestant cause during the tense times of religious strife between competing sects of Christianity. In just over a decade, these would break out as the Thirty Years War and these conflicts had already caused the dynastic squabble rooted in religious freedom that deposed his nephew and brought him to rule as king of Sweden. 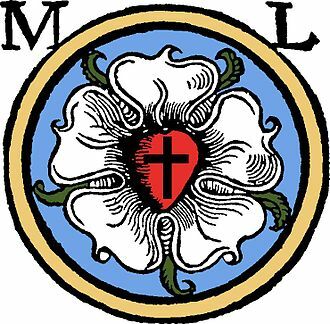 His reign marked the start of the chapter of both the Reformation and Counter-reformation. With his brothers death in November 1592, the throne of Sweden went to his nephew and Habsburg ally, Sigismund of Poland, during these tense political times, Charles viewed the inheritance of the throne of Protestant Sweden by his devout Roman Catholic nephew with alarm. Thus, several years of controversy and discord followed. During the period, he and the Swedish privy council ruled in Sigismunds name while he stayed in Poland, after various preliminaries, the Riksens ständer forced Sigismund to abdicate the throne to Charles IX in 1595. In fact, it worsened European politics to the abandonment or prevention of settling events by diplomacy, in 1568 he was the real leader of the rebellion against Eric XIV. However, he took no part in the designs of his brother John III against the king after his deposition. Charless relations with John were always more or less strained and he had no sympathy with Johns High-Church tendencies on the one hand, and he sturdily resisted all the kings endeavours to restrict his authority as Duke of Södermanland on the other. The nobility and the majority of the Riksdag of the Estates supported John, however, in his endeavours to unify the realm, and Charles had consequently to resign his pretensions to autonomy within his duchy. Stockholm Palace or The Royal Palace is the official residence and major royal palace of the Swedish monarch. Stockholm Palace is located on Stadsholmen, in Gamla stan in the capital, the offices of the King, the other members of the Swedish Royal Family, and the offices of the Royal Court of Sweden are located here. 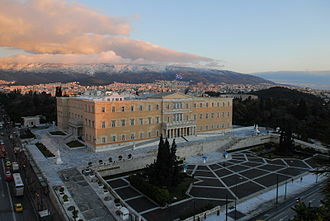 The palace is used for representative purposes by the King whilst performing his duties as the head of state. This royal residence has been in the location by Norrström in the northern part of the Gamla stan in Stockholm since the middle of the 13th century when the Tre Kronor Castle was built. In modern times the name relates to the building called Kungliga Slottet, the palace was designed by Nicodemus Tessin the Younger and erected on the same place as the medieval Tre Kronor Castle which was destroyed in a fire on 7 May 1697. Due to the costly Great Northern War which started in 1700, construction of the palace was halted in 1709, when Tessin the Younger died in 1728, the palace was completed by Carl Hårleman who designed a large part of its Rococo interior. The palace was not ready to use until 1754, when King Adolf Frederick and Queen Louisa Ulrika moved in, as of 2009 the interior of the palace consists of 1,430 rooms of which 660 have windows. 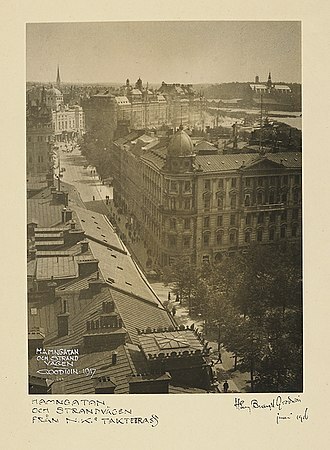 The palace contains apartments for the Royal families and festivities such as the State Apartments, the Guest Apartments, the National Library of Sweden was housed in the northeast wing, the Biblioteksflygeln, until 1878. As of 2014 it houses the Bernadotte Library, the Slottsarkivet is housed in the Chancery Wing. In the palace are the offices of the Royal Court of Sweden, the Royal Guards has guarded the palace and the Royal Family since 1523. 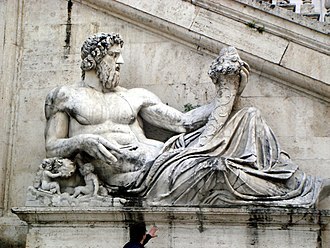 A comprehensive renovation of the began in 2011, to repair weather damaged parts made from sandstone. 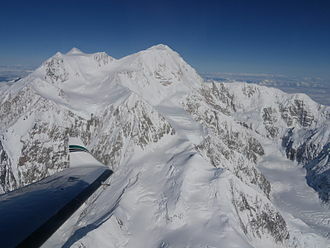 The repairs are estimated to cost approx,500 million crowns during a period of 22 years. The first building on site was a fortress with a core tower built in the 13th century by Birger Jarl to defend Lake Mälaren. The fortress grew to a castle, eventually named Tre Kronor for the towers spire top decorated with three crowns. The Wittelsbach family is a European royal family and a German dynasty from Bavaria. The family provided two Holy Roman Emperors, one King of the Romans, two Anti-Kings of Bohemia, one King of Hungary, one King of Denmark and Norway, the familys head, since 1996, is Franz, Duke of Bavaria. Berthold, Margrave in Bavaria, was the ancestor of Otto I, Count of Scheyern, whose third son Otto II, the Counts of Scheyern left Scheyern Castle in 1119 for Wittelsbach Castle and the former was given to monks to establish Scheyern Abbey. Duke Ottos son Louis I, Duke of Bavaria acquired the Electorate of the Palatinate in 1214. On Duke Otto IIs death in 1253, his sons divided the Wittelsbach possessions between them, Henry became Duke of Lower Bavaria, and Louis II Duke of Upper Bavaria and Count Palatine of the Rhine. When Henrys branch died out in 1340 the Emperor Louis IV, the Bavarian branch kept the duchy of Bavaria until its extinction in 1777. His six sons succeeded him as Duke of Bavaria and Count of Holland, the Wittelsbachs lost the Tyrol with the death of duke Meinhard and the following Peace of Schärding - the Tyrol was finally renounced to the Habsburgs in 1369. 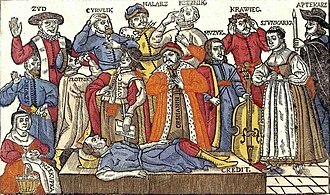 In 1373 Otto, the last Wittelsbach regent of Brandenburg, released the country to the House of Luxembourg, on Duke Alberts death in 1404, he was succeeded in the Netherlands by his eldest son, William. A younger son, John III, became Bishop of Liège, however, on Williams death in 1417, a war of succession broke out between John and Williams daughter Jacqueline of Hainaut. This last episode of the Hook and Cod wars finally left the counties in Burgundian hands in 1432, with the Landshut War of Succession Bavaria was reunited in 1505 against the claim of the Palatinate branch under the Bavarian branch Bavaria-Munich. From 1549 to 1567 the Wittelsbach owned the County of Kladsko in Bohemia, strictly Catholic by upbringing, the Bavarian dukes became leaders of the German Counter-Reformation. 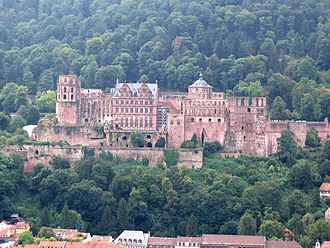 From 1583 to 1761, the Bavarian branch of the dynasty provided the Prince-electors and Archbishops of Cologne and many other Bishops of the Holy Roman Empire, namely Liège. Wittelsbach princes served for example as Bishops of Regensburg, Freising, Liège, Münster, Hildesheim and Osnabrück, in 1623 under Maximilian I the Bavarian dukes were invested with the electoral dignity and the duchy became the Electorate of Bavaria. Axel Gustafsson Oxenstierna af Södermöre, Count of Södermöre, was a Swedish statesman. He became a member of the Swedish Privy Council in 1609 and he was a confidant of first Gustavus Adolphus and Queen Christina. Oxenstierna is widely considered one of the most influential people in Swedish history, Oxenstierna was born on 16 June 1583, at Fånö in Uppland, the son of Gustaf Gabrielsson Oxenstierna and Barbro Axelsdotter Bielke, as the oldest of nine siblings. His parents belonged to the ancient and influential noble families of Oxenstierna and Bielke. After the death of her husband Gustaf, Axels mother Barbro decided to let Axel and his brothers Christer, the brothers received their education at the universities of Rostock and Jena. On returning home in 1603 he took up an appointment as valet de chambre to King Charles IX of Sweden, one of Oxenstiernas more unusual intellectual qualifications was his knowledge of the Scots language, reflecting the importance of the Scottish expatriate community in Sweden at that time. In 1606 he undertook his first diplomatic mission, to Mecklenburg, while on diplomatic duty abroad, Oxenstierna gained appointment to the Privy Council. Henceforth, Oxenstierna became one of the kings most trusted servants, in 1609 he travelled to Reval (present day Tallinn, on King Charless behalf, to receive tributes from the city of Reval and the Estonian knighthood. Together with other councillors, Oxenstierna tried to warn the king of Denmark, in 1610, Oxenstierna travelled to Copenhagen with the aim of preventing war with the neighbours, but unsuccessfully. The following year, Danish forces crossed the border, initiating the Kalmar War, in the fall of 1611, King Charles died. Around New Year 1611–12, the parliament had to deal with the situation, according to the rules, the 17-year-old Gustavus Adolphus had not reached the proper age to be considered adult enough to rule as king. However, the agreed to disregard those rules. In return, the king agreed to ensure the nobles further privileges. Charles XI, was King of Sweden from 1660 until his death, in a period of Swedish history known as the Swedish Empire. Charles was the son of King Charles X Gustav of Sweden. His father died when he was five years old, so Charles was educated by his governors until his coronation at the age of seventeen, soon after, he was forced out on military expeditions to secure the recently acquired dominions from Danish troops in the Scanian War. Changes in finance, national maritime and land armaments, judicial procedure, church government, Charles XI was succeeded by his only son Charles XII, who made use of the well-trained army in battles throughout Europe. The fact that Charles was crowned as Charles XI does not mean that he was the 11th king of Sweden who had the name Charles. His fathers name was due to his great-grandfather, King Charles IX of Sweden and this descendant was actually the 5th King Charles. The numbering tradition thus begun still continues, with the present king of Sweden being Carl XVI Gustaf, Charles was born in the Stockholm Palace Tre Kronor in November 1655. 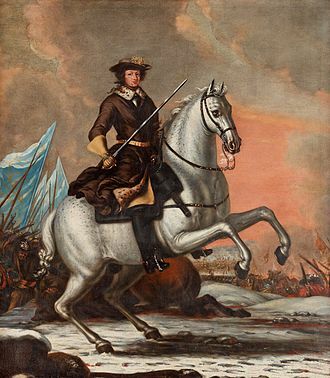 His father, Charles X of Sweden, left Sweden in July to fight in the war against Poland, after several years of warfare, the king returned in the winter of 1659 and gathered his family and the Riksdag of the Estates in Gothenburg. In mid-January 1660 he fell ill and one month he wrote his last will, per Brahe was one member of the council. In addition, Charles X Gustav left command of the army and these provisions among others led to the remainder of the council immediately challenging the will. February 14, the day after King Charles Xs death, Hedwig Eleonora sent a message to the council stating that she knew that they contested the will and that she demanded that it should be respected. 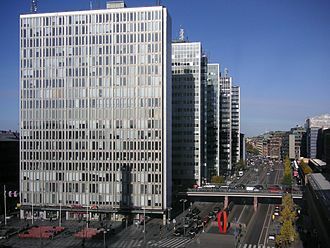 The council answered that the will must first be discussed with the parliament, and at the council in Stockholm on May 13. The parliament questioned whether it would be good for her health or suitable for a widow to attend council, and her reply that the council would be allowed to meet without her and only inform her when they considered it necessary was met with satisfaction from the council. Lennart Torstenson, Count of Ortala, Baron of Virestad, was a Swedish Field Marshal and military engineer. He was born at Forstena in Västergötland and his parents were Märta Nilsdotter Posse and Torsten Lennartson, Lord of Forstena, who was supporter of king Sigismund and, for a while, the commandant of Älvsborg Fortress. Young Lennarts parents fled to exile in the year of his birth because his father had confessed to being loyal to the deposed Sigismund, Lennart was taken care of by relatives - his father returned to Sweden only when Lennart was around twenty. His paternal uncle Anders Lennartsson was Lord High Constable of Sweden and trusted by Duke Charles, at the age of fifteen he became one of the pages of the young King Gustavus Adolphus and was allowed to observe the Livonian War, such as the conquest of Riga in 1621. At the age of twenty, he made his grand tour, in January 1626, he was at the battle of Wallhof as an ensign. He served during the Prussian campaigns of 1628 and 1629 and it is told that at one battle Gustavus Adolphus sent Torstensson with an order to one of the officers. On his way Torstensson noticed that the enemy had changed position, when Torstensson returned he told Gustavus what he had done. Shortly thereafter, in 1629 Torstensson was put in charge of the Swedish artillery, the same year he was taken prisoner at Alte Veste and imprisoned for nearly a year at Ingolstadt. Under Johan Banér he served at the Battle of Wittstock on the wing of the combined army of Banér. He served with distinction during the defence of Pomerania in 1637 and 1638, as well as at the Battle of Chemnitz, contracted during his imprisonment, compelled him to return to Sweden in 1641, where he was made a member of the Privy Council. The sudden death of Banér in May 1641 recalled Torstensson to Germany as generalissimo of the Swedish forces and he was at the same time promoted to the rank of Field Marshal. In 1642 he marched through Brandenburg and Silesia into Moravia, taking all the fortresses on his way. On returning through Saxony he crushed the army at the second Battle of Breitenfeld on October 23,1642. 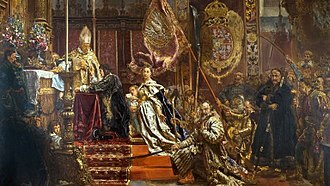 The Peace of Westphalia was a series of peace treaties signed between May and October 1648 in the Westphalian cities of Osnabrück and Münster, effectively ending the European wars of religion. The Treaty of Osnabrück, involving the Holy Roman Empire, the treaties did not restore peace throughout Europe, but they did create a basis for national self-determination. 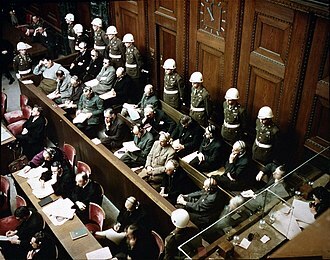 Inter-state aggression was to be held in check by a balance of power, a norm was established against interference in another states domestic affairs. As European influence spread across the globe, these Westphalian principles, especially the concept of states, became central to international law. 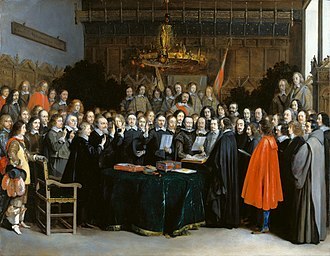 Peace negotiations between France and the Habsburgs, provided by the Holy Roman Emperor and the Spanish King, were started in Cologne in 1641 and these negotiations were initially blocked by France. Cardinal Richelieu of France desired the inclusion of all its allies, in Hamburg and Lübeck and the Holy Roman Empire negotiated the Treaty of Hamburg. This was done with the intervention of Richelieu, the Holy Roman Empire and Sweden declared the preparations of Cologne and the Treaty of Hamburg to be preliminaries of an overall peace agreement. 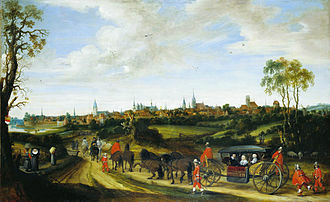 This larger agreement was negotiated in Westphalia, in the cities of Münster. Both cities were maintained as neutral and demilitarized zones for the negotiations, Münster was, since its re-Catholization in 1535, a strictly mono-denominational community. It housed the Chapter of the Prince-Bishopric of Münster, only Roman Catholic worship was permitted. No places of worship were provided for Calvinists and Lutherans, in the years of 1628–1633 Osnabrück had been subjugated by troops of the Catholic League. The Catholic Prince-Bishop Franz Wilhelm, Count of Wartenberg imposed the Counter-Reformation onto the city with many Lutheran burgher families being exiled, while under Swedish occupation Osnabrückss Catholics were not expelled, but the city severely suffered from Swedish war contributions. 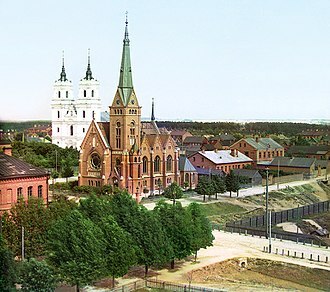 Therefore, Osnabrück hoped for a great relief becoming neutralised and demilitarised, since Lutheran Sweden preferred Osnabrück as a conference venue, its peace negotiations with the Empire, including the allies of both sides, took place in Osnabrück. The Royal Palace in Stockholm. The northern row with the planned Lejonbacken before the fire in 1697. From the Suecia Antiqua et Hodierna. 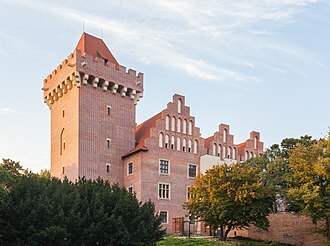 Bederkesa Castle, since 1381 stronghold of the City of Bremen's possessions within Swedish Bremen-Verden, in 1654 ceded to the latter by the Recess of Stade. Bremervörde under Danish attack in 1657. Lennart Torstensson painted 1648 by unknown artist. Representatives of the four estates on a commemorative coin (reverse). The House of Nobility, seat of the Swedish nobility.